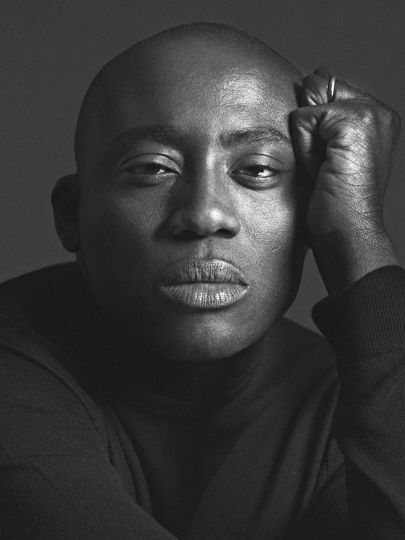 Edward Enninful: model, creative director and the new editor of British Vogue. I'm really not sure i'm ready to move onto appreciating a Vogue editor that isn't Alexandra. You might laugh and think how can someone feel like this but reading my Mum's Vogue magazines when I was younger and flicking through the beautiful editorials started my total love for magazines and appreciation for fashion. I grew up reading Alexandra Shulman's notes and introductions and the occasional interview or feature she wrote and I saved every single edition. I've collected the magazine for such a long time now it's like a staple on my windowsill and it would look bare without them. Now I find myself wondering; do I continue my subscription and look forward to the new projects coming from Edward Eninnful or just accept my time with Vogue is happily ending? Ok...that was a little dramatic but if you love Vogue and our dearest Alexandra as much as me you will understand. Edward Enninful is currently the fashion and style editor of W Magazine which is literally a piece of art per issue. It's the magazine you read to find out who's who, who's new, where you should be going, what you should be wearing and where you should be wearing it. It's the freshest fashion magazine out at the moment. His career in fashion started at the age of 16 when he was scouted as a model and it's never really stopped going up since then. Enninful is recognised as one of the youngest most successful bodies in fashion becoming the fashion editor at age 18 for i-D magazine (life goals right there and an inspiration to all). He has previously contributed to American and Italian Vogue and is frequently involved in high-fashion campaigns. It's easy to see he has a wealth of experience and knows his stuff but seeing what he is going to do with our precious British Vogue is another chapter to come. He will start the position as editor as of August 1st after working along side Alexandra Shulman for the coming months to transition over. I suppose this is exciting and to live through two editors and be able to hopefully love both is exciting but I am looking forward to see what Alexandra will be doing next too. Edward Enninful is an established creative and recognised face of fashion and magazine journalism. He will be the first black, male and gay Vogue editor but let's not dwell on what every other magazine and every person has noted. It's not about these details that make him so special, it's his creative brain I can't wait to see unfold. He's experienced first hand what it's like to be in many aspects of the fashion world so he's definitely going to be bringing some edge to the game. Coming from W magazine and having worked for i-D magazine, Vogue is definitely in for a little bit more grit in it's publication when Enninful settles in.